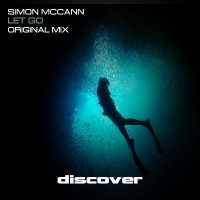 A welcome return to Discover from Simon McCann and a triumphant one at that, as the prolific producer delivers one of his best to date with Let Go. Big on bottom end and with a brilliantly hooky top line which comes straight from the "less is more" category, the riff doesn't do any more than it needs too with no pointless meanderings, just "in your face" hypnotic trance with hammers and nails to drive it home. A stuuning piece of quality McCann action. 'Let Go' is available now from Beatport and iTunes.